Vietnamese Ambassador to Japan Nguyen Quoc Cuong has paid visits to the Japanese prefectures of Okayama, Tottori, and Shimane in Shikoku region to seek investment cooperation with Japanese businesses. While meeting local enterprises, Ambassador Cuong underlined the message of Prime Minister Nguyen Xuan Phuc delivered during his visit to Japan in June that it is time for businesses and localities of the two counties to boost cooperation and foster win-win ties in the next five or 10 years. 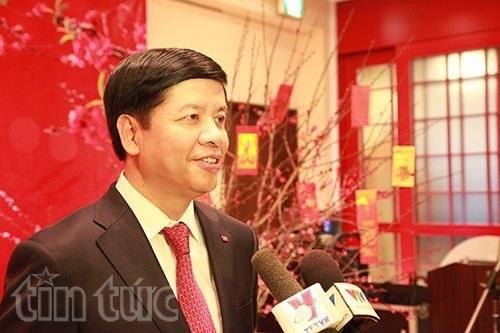 Governor of Okayama Ibaragi Ryuta said Vietnam is receiving the most attention from the prefecture’s businesses to study investment opportunities with 122 firms, compared to 72 in China, 57 in Thailand and 56 in Indonesia. With a population of nearly two million people and gross domestic product (GDP) of about US$70 billion, Okayama is developing hi-tech industry, agriculture and tourism. Meanwhile Tottori Governor Hirai Shinji said many local businesses are eying Vietnam. He wants to introduce local businesses with advanced technologies to Vietnamese hi-tech special economic zones. Whereas, Shimane prefecture is home to many small-and medium-sized enterprises in machinery manufacturing, electronic spare parts production, food processing, and agro-fisheries. Japanese enterprises said they were interested in the tax and custom system and the opening of representative offices and bonded warehouses in Vietnam, and hoped to expand investment in the Southeast Asian country in the coming time.